Since 2006, Northwest Children’s Hospital and Kohl’s Cares has worked together to provide educational materials about health, wellness and safety. To date Kohl’s has donated $201,276 to the outreach projects. The Centers for Disease Control and Prevention estimates that 17 percent of children ages 2-19 years are obese. Children who are overweight are more likely to be overweight as an adult and have lower self-esteem. Northwest Children’s Hospital and Kohl’s Cares are dedicated to helping support families in making healthy choices. 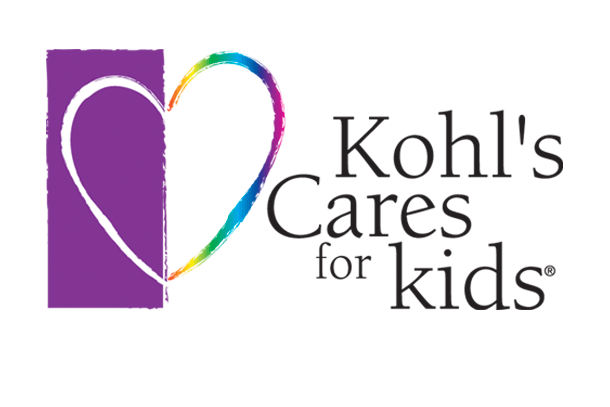 Throughout the year, Kohl’s sells special Kohl’s Cares merchandise for $5 with 100 percent of the net profit benefiting youth-serving programs and organizations. Kohl’s and Northwest Children’s Hospital desire to improve the health and safety of children in the surrounding communities. Thanks to our local community partners for their dedication to the children of the Texas Panhandle. Below are health eating and activity tips for parents and kids. Eating healthy is a vital part of overall health in children and adults. It is not always easy to make the right choices with a busy family schedule. However, making small changes to your diet will help support your child’s health. We encourage you together as a family to come up with ideas to make healthy choices when planning out your meals. Using the USDA’s My Plate you can learn how to create a meal that is well-balanced to include whole grains, lean proteins, and low fat dairy. Drinking plenty of water not only keeps your body hydrated, but is also helps cool your body and decrease muscle fatigue. It is important to drink water before, during and after physical activity to maintain proper hydration. During physical activity it is recommended a child drink 4-6 ounces every 15-20 minutes. Be aware especially of hot days where your child may need more water during strenuous activities outside. Making good beverage choices can help you manage caloric intake and support healthy development. Physical Activity along with healthy eating are the key to overall health. Physical activity helps maintain weight control, builds muscle, and reduces the risk of obesity. Children need to be encouraged to be active 60 minutes a day, at least 5 days a week. Activities could include running, playing ball, jump roping, dance, bike riding or walking outside.